And who doesn’t like to get away for a few days? 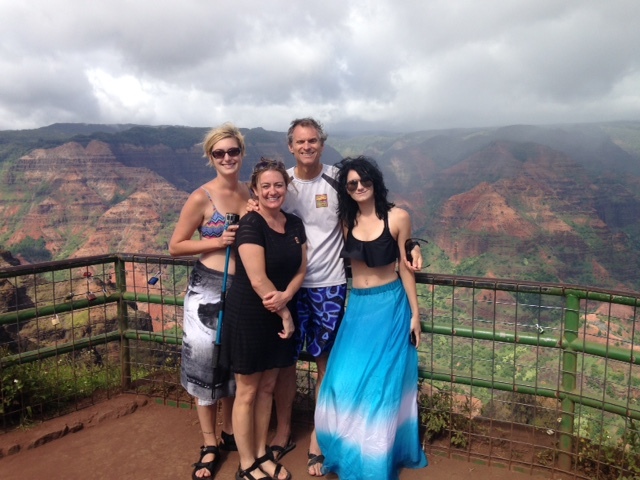 Last week we were gone on vacation to Hawaii… to the island of Kauai. And the island is appropriately named: The Garden Island… although it also could have been labeled “The Chicken Island”, for all of the chickens scattered throughout. 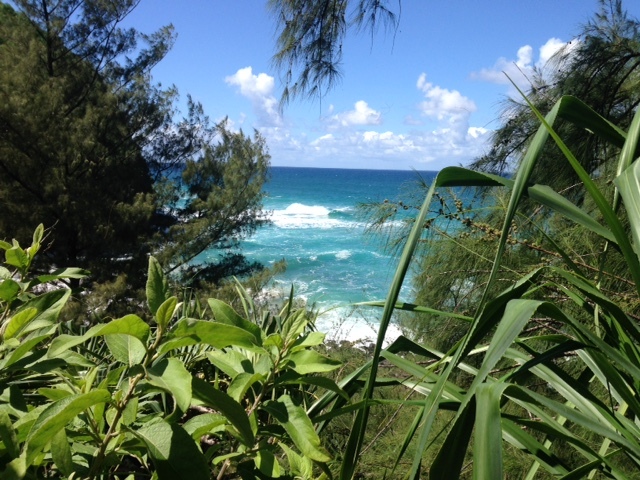 We made our dwelling on the north shore where the waves were crashing, and the waterfalls were active. Snorkeling was a blast… as was hiking and paddle-boarding. We rested… had fun… and enjoyed some great family time together. Thanks for allowing us these few days away. The weekend started off incredibly busy before we headed off on vacation. On the Thursday night before we left I had a board meeting with a church… drove home to pack for our vacation because the next morning (Friday)… very early, I was driving to Utah for the St. George Marathon. I picked up my race packet at the expo… grabbed a bite to eat and headed for bed… only to wake up at 3:00 to make it in time for the bus to drive us to the starting line. Ran the marathon… returned to the hotel to shower… jump in the car with a few friends to meet up with my car I had left in Barstow the day before. This was done because the other guys were returning home in Santa Clarita, but I had to drive on to Ridgecrest for a board meeting that same Saturday night at 6:00. The next morning was Sunday… Pastor Jim and Dolly Goss’ final Sunday at Ridgecrest. What a special day I enjoyed worshipping with everyone there… and remembering Worldwide Communion with the church! Immediately following the service I hopped in the car to drive back home in order to pick up the family and make our way to LAX to catch our 6:00PM flight to Hawaii. Needless to say… we made it on time… and once I got through the TSA checkpoint I sat down with a cup of coffee and relaxed. ENCOURAGEMENT: Come to Me, all you who are weary and burdened, and I will give you rest. Take My yoke upon you and learn from Me, for I am gentle and humble in heart, and you will find rest for your souls. For my yoke is easy and my burden is light. – Jesus (Matthew 1:28-30). What a great and incredible invitation given by Jesus to you and me! This invitation is always open. He’s calling. He never says “I’ll take away your burden… or remove the yoke…” He just says you will find rest because “My burden is light… My yoke is easy…” I have found that sometimes the greatest healing for me comes when I am so tired I feel like doing nothing… Leslie will see that I am frustrated with something… and she will suggest “Greg, you need to go for a run!” When I return home from a run… I am so much better. Jesus does the same for us… as we come to Him with our burdens… our worries… our cares… He may not remove them… but He certainly comes along our side and helps us through. His yoke is easier… His burden is lighter. WHY? Because HE is involved… PTL! PASTOR APPRECIATION MONTH: My hope and prayer is that all of our churches are showing some kind of support and appreciation to our pastors this month. Traditionally, October has been the month when the church takes a little extra time to show their encouragement. 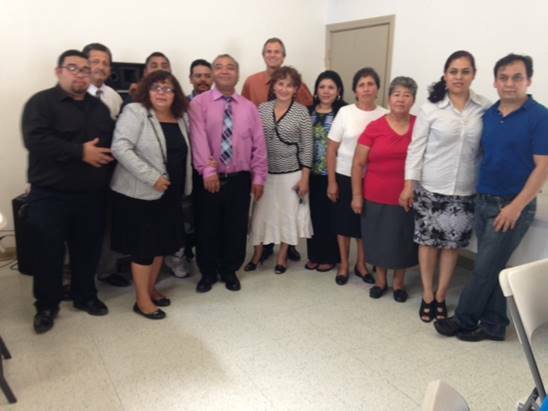 Please know that I am so blessed to have on the L.A. District Team each pastor, spouse, and staff member by my side. May the Lord bless you this month as you faithfully minister before the Lord and His people! District Licenses/Ordination Application and accompanying paperwork due in the district November 30th. 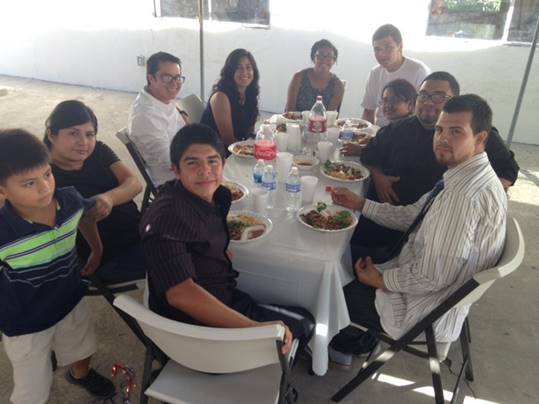 CHURCHES OPEN: Hillside Community “English” (Rowland Heights), La Puente Spanish, L.A. 1st “English”, Newhall, Pasadena 1st. These two churches will be open the beginning of November: Ridgecrest and Valley View in Lancaster. We will miss Pastor Jim and Dolly Goss as they transition into retirement, and Pastor Gabe and Aiko Martin who will soon relocate to Rancho Cucamonga. VOLUNTEER RECEPTIONIST: Here at the district office we are looking for a few volunteer receptionists to come along our side and help us out with phones and “busy work”. If you live in the area and you would love to give a few hours each week to the district… please let us know. We would love to have another smiling face and welcoming voice working with us. May the Lord bless you today and this weekend! I love you and am so glad to be part of this great district team. Thank you, again, for remembering your district as you send in your allocations (budgets). And keep praying for one more tenant to come and fill up our second floor. This entry was posted in Uncategorized on October 18, 2015 by rgjerde. ENCOURAGEMENT: And most of you know by now… one of those things I so enjoy… I like to run. Most recently, I turned 55. Yep… an old man my girls will say. But, this old man still likes to run. And the good news is that I am now in a new age group. I’m finally the young one in the new group: 55-59. So, I will continue to run so long as my health allows me to do so. I know that there are some verses in the scriptures that may be taken out of context to make a point, but I like what the writer to the Hebrews said in 12:1-2. “Therefore, since we are surrounded by such a great cloud of witnesses, let us throw off everything that hinders and the sin that so easily entangles. And let us run with perseverance the race marked out for us, fixing our eyes on Jesus…” I don’t know whether or not the author was a marathoner… but he certainly knew something about marathons… though not everything. I’ll speak to the “not everything” first: I have run many marathons… and I’ve been to several professional sporting events. Boy… you talk about “a cloud of witnesses”… there is nothing like the roar of a stadium filled with 100,000 screaming soccer fans. In a marathon race… there may be 17 people waving cow bells as we run by… and you never see them again. They are there for a moment… and they’re gone. But here is what he gets right as it compares to marathon running: When we run, we look for the lightest pair of racing shoes. I like to race in a singlet and lightweight shorts… and a marathon requires incredible patience… endurance or perseverance. If you start off too fast… you will most certainly “blow up”… “hit the wall”… or “tank”. Tomorrow (Friday, Oct. 2) I will join a few guys from the running club to drive up to Utah to race in the St. George Marathon on Saturday. It’s a certified 26.2 mile race. The only problem with this upcoming marathon is that I’m not in the best shape for a race. The training was going well until I was elected to serve as D.S. Whatever routine I had in life was thrown out the window. And then, within a few weeks into my new assignment, my brother passes away. And for a week or so… there went my motivation. But, today is a new day. Just like a college student doing his best to cram for a final exam… my training started back up 3 weeks ago. Yet, I am learning that one cannot cram for a marathon. To race a marathon requires months and months of proper training. But, I am excited to head out on this brief road trip… and race on Saturday. I will throw off any junk that may slow me down and keep my eyes on the finish line. The same is true in my daily life. My eyes are fixed on Jesus… so all of the junk of the world is daily discarded… tossed aside… so that I am free to live as Jesus leads me. May the Lord bless you this weekend! 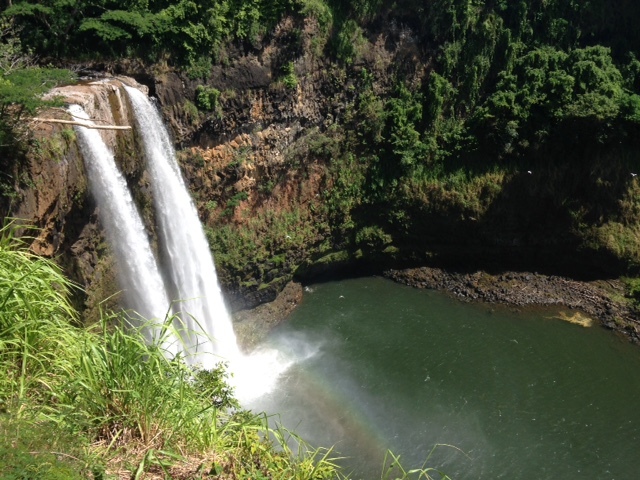 Oh… one other thing, our family is taking off Sunday night for vacation… we’re headed to Kauai. I’ve never been there. I plan to relax, and relax some more. WELCOME O’CONNELL FAMILY: I meant to include this photo of our newest pastoral family to the L.A. District Family. Rev. 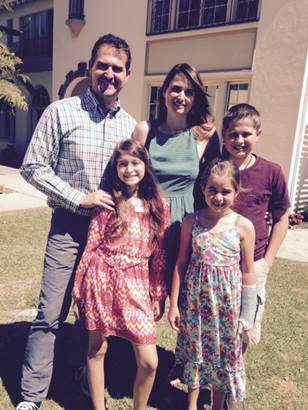 James and Lindsay O’Connell and kids have been recently installed as our pastors in the Camarillo Church. DISTRICT CHURCH PLANTING TRAINING: Are you looking for creative ways to learn how to plant churches? Do you have questions as for what to do? Where to start? How to do it? One of the greatest ways to win people to Christ is to start new works. New ministries… Here is a perfect opportunity for you to learn and get connected. From October 26-30 we will host a DCPI Conference for anyone interested to learn and grow. These meetings will be all day meetings. Details will come to you in the next email. 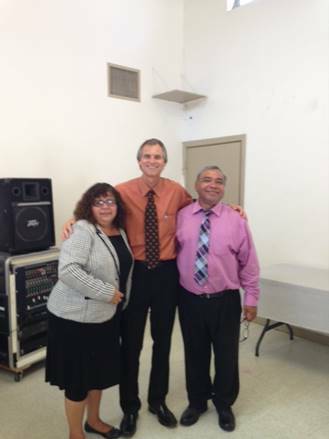 BALDWIN PARK: I mentioned how much I enjoy journeying from church to church. Most recently I had the privilege to preach in our Baldwin Park Church where Pastors Juver and Cristina Ramirez are ministering. What an exciting day I spent with them. There was joy! There was excitement! There was the presence of the Lord! 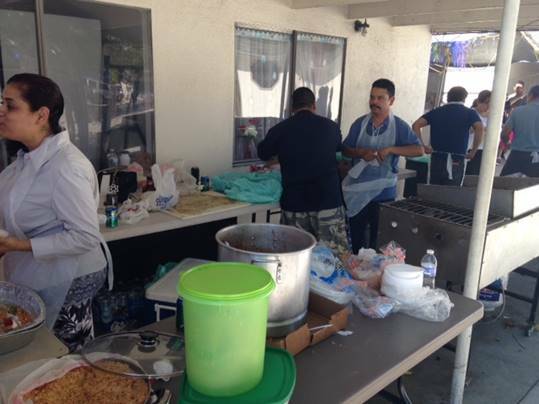 Estamos contentos de ver lo que Dios esta hacienda en nuestra Iglesia de Baldwin Park. Gracias por alimentarme cuando estuve allí con ustedes. Tanto me gustó la comida, pero más… la bendición de conectar en las alabanzas y adoración! This entry was posted in Uncategorized on October 5, 2015 by rgjerde.